Every Friday I make lunch for my coworkers. It’s my little “Undercover Paleo Operation”, showing regular, non-paleo folks how yummy it is to eat like a caveman! I made Paleo pancakes, a very simple recipe composed of banana, nut butter and egg. 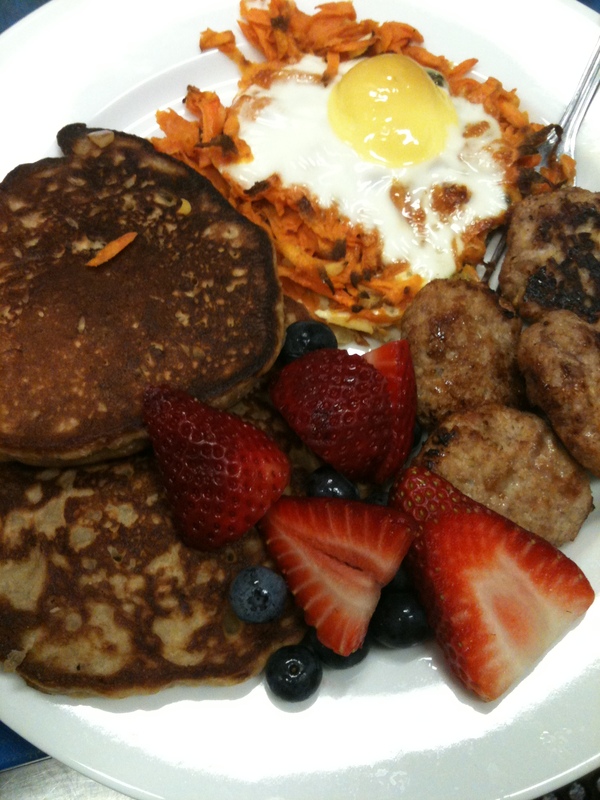 I also made eggs on a placemat, cut up some berries, AND made my own breakfast sausage patties out of bacon, apple, and chicken. Not surprisingly, there were rave reviews all around. So here’s a suggestion. Next time you have the opportunity to make breakfast for someone… make these. They’re incredibly easy, cheaper than pre-packaged sausages with God-knows-what in them. Grease a sheet pan with bacon fat or coconut oil. If frying, use a skillet and oil. In a food processor, combine ingredients except chicken. Combine mixture with ground chicken. 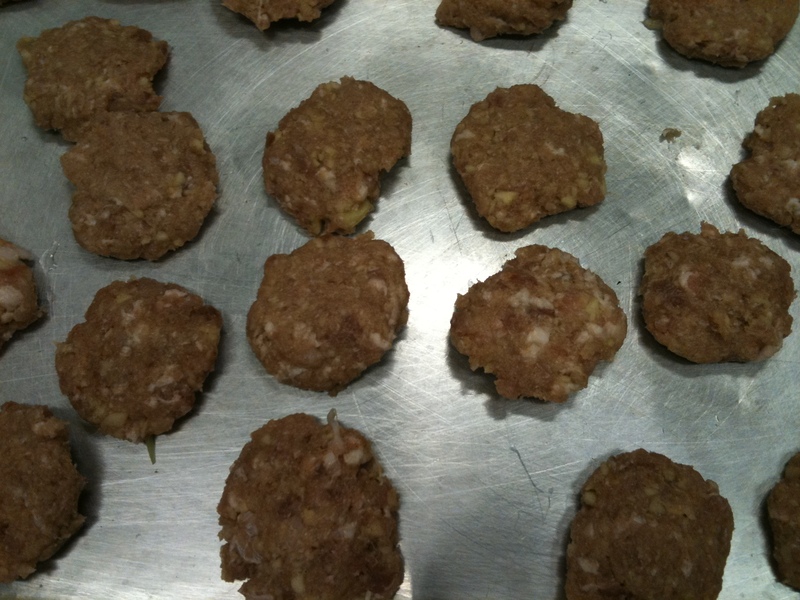 Shape into silver-dollar sized patties and place on sheet pan. Getting ready for the heat! Bake for 20 mins. Flip halfway through. If using a skillet, fry and flip. Make sure they are done inside before eating!